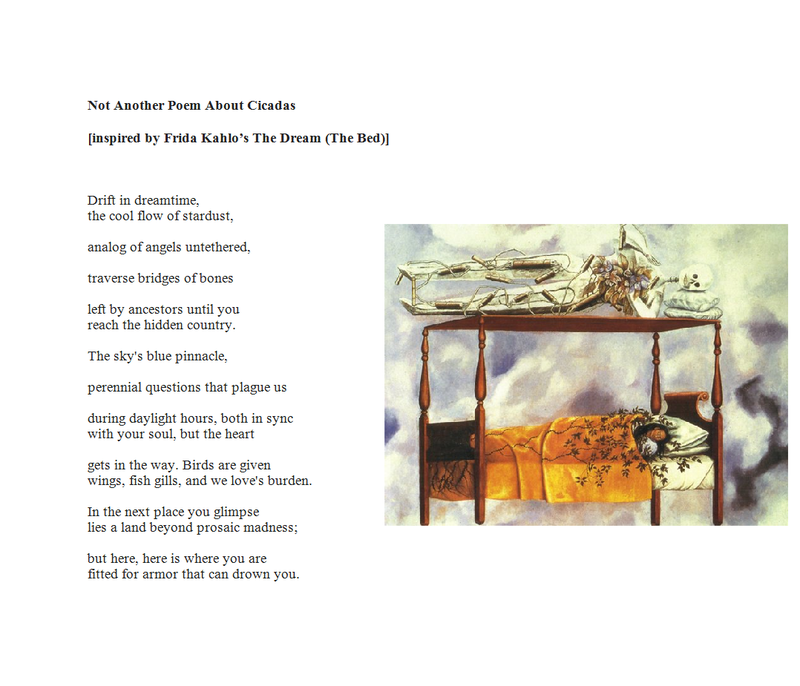 Today is Day 6 at the Tupelo Press 30/30 Project and a number of us have written poems inspired by the paintings of Frida Kahlo in honor of her birthday today. Visit Tupelo Press today to check out the poetry and literary fiction they publish. While you there make sure you check out the 30/30 Project web site where you can read poems and support this small non-profit press by making a donation. If you donate, please be sure to fill in the “in honor of” section with the name of a poet’s work you liked. And don’t forget to leave an email address so we can send you a note of thanks. Also, many of us are giving a way our own free swag so you will be eligible for that as well, but in order to send it we will need to contact you via email first. Check out my free swag goodies and help support Tupelo Press.